Successful events are as much about exhibitors engaging with their clients and prospective clients before and after an event as it is during the show. 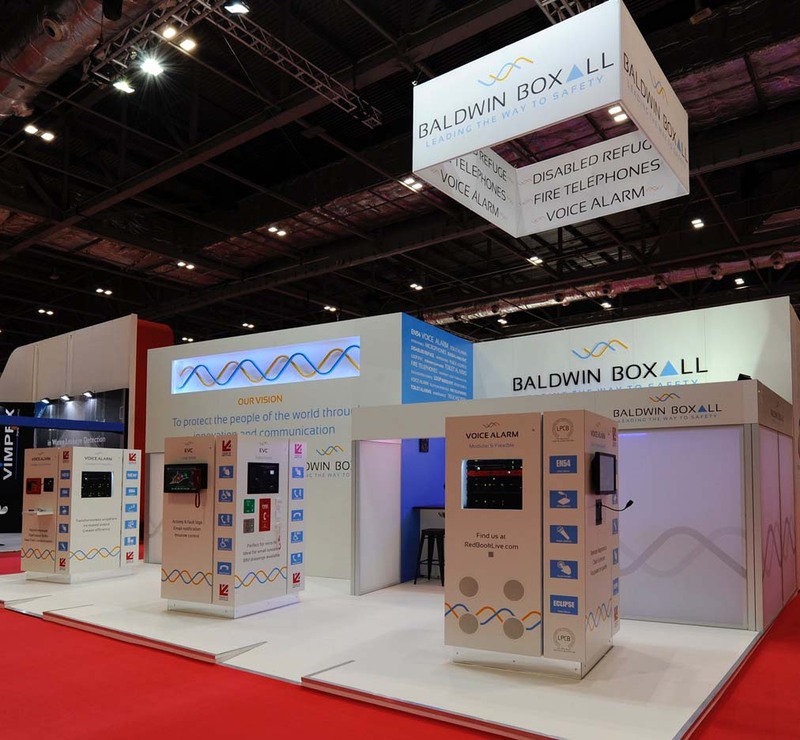 A pre show campaign in the weeks before FIREX to make contact and schedule meetings on their new stand at this industry-leading event paid off for Baldwin Boxall. 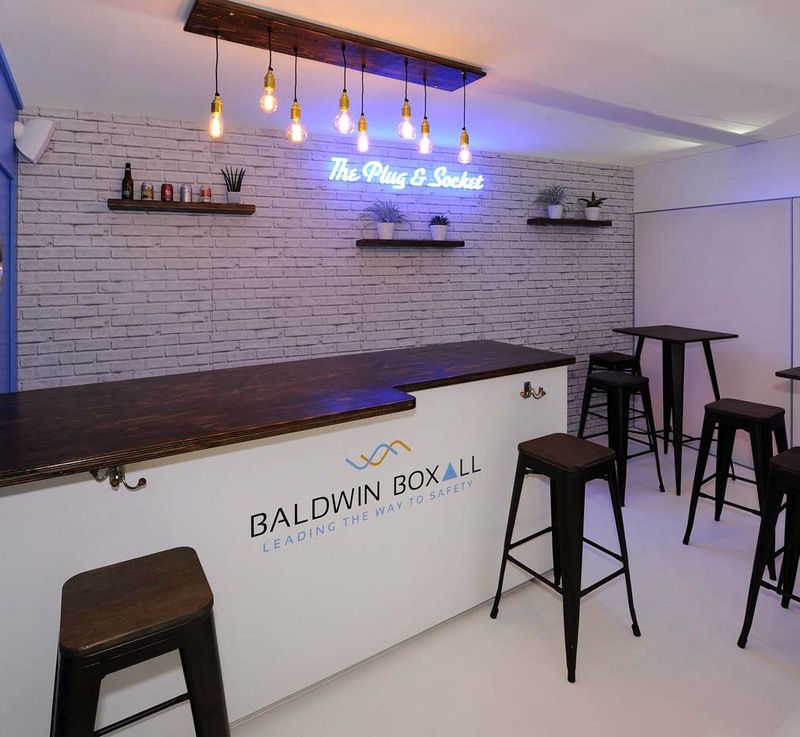 They welcomed a record number of visitors to their informal bar, meeting room and easy to access product displays, all of which made the maximum use of every square metre of their stand space. 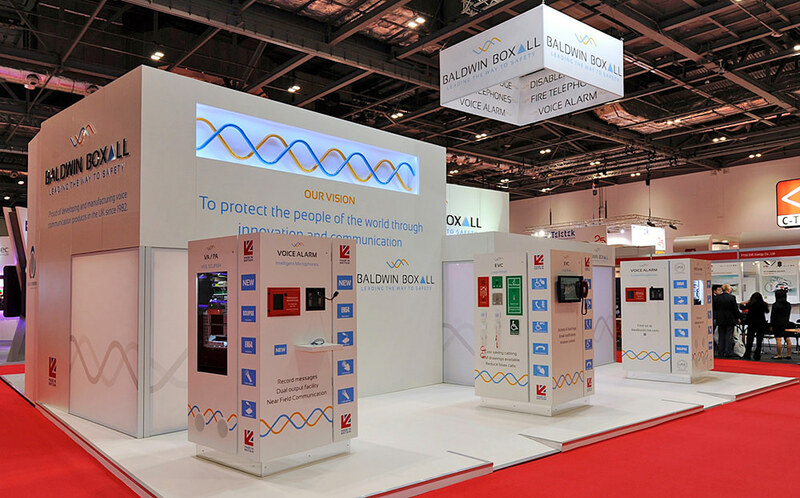 Baldwin Boxall was keen to retain their legendary tradition of on stand hospitality. To continue this tradition we created a modern and contemporary version of their popular Plug & Socket bar as part of their new look stand. Modern and professional with core traditional values are all part of the Baldwin Boxall offering! Contact us today for a modern and professional approach to exhibiting in the UK, the rest of Europe or in the US. A new stand without breaking the bank!